Hair extensions are a way to change your hairstyle and improve your appearance. At Omnia Salon, we consider Hairdreams extensions to be a great way to change your hairstyle and improve your appearance. The extensions are of the highest quality hair from all over the world. They have passed strict quality testing and are guaranteed to be raw hair with no history of chemical procedures and damage. 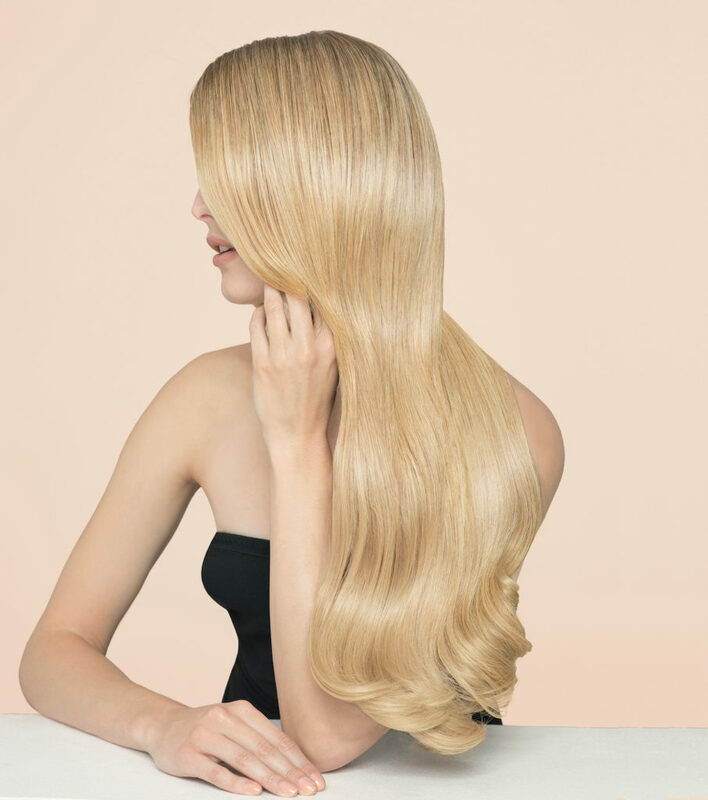 Here at Omnia Salon, we know the benefits of using Hairdreams hair extensions. One benefit can be seen in how seamlessly the high quality extensions can be bonded with your own hair. The safest and most effective process of bonding is not to use heat, which can damage both your own hair and that of the extensions. We use a fusion wand that bonds each extension hair strand to your own, without the use of heat. A special device is used by our trained hair specialists here at Omnia Salon to make sure that the attachment is not noticeable and it is strong and durable. Hairdreams hair extensions are made from human hair, handpicked from healthy individuals to ensure that these have no flaws and can be easily combined with yours to create the look that you want. With the skill of our hair specialists, your Hairdreams hair extensions will surely last four to six months. Another advantage of using high quality Hairdreams extensions from Omnia Salon, is the fact that these are collected from healthy individuals who have not used any form of hairdressing chemicals or treatments on the hair. This means that the hair is raw, has natural elasticity and shine; as well as the cuticle all facing in the right direction. Experts from our salon will pick out the color that best suits yours to make sure the extensions are a match to your natural hair color,and they adhere to your preferences. Hair extensions can change the appearance of the individual who wears them. This is basically the main reason why many women use them. Those who suffer from thinning hair can have their pick of styles and shades from our wide array of choices, the possibilities are endless. The use of Hairdreams extensions,combined with the expertise of our stylists at Omnia Salon, can help you get your dream hairstyle. For perfect hair extensions, come to Omnia Salon for a complimentary consultation and you will see why we are one of the best in the business.